Spotlight on Shakespeare offers a series of concise, lucid books that explore the vital purchase of the modern world on Shakespeare’s work. 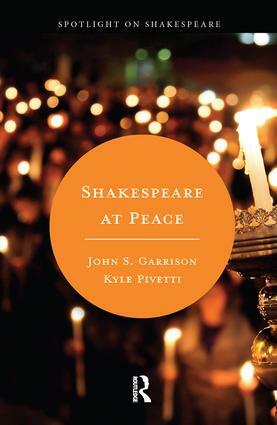 Authors in the series embrace the notion that emergent theories, contemporary events, and movements can help us shed new light on Shakespeare’s work and, in turn, his work can help us better make sense of the contemporary world. The aim of each volume is two-fold: to show how Shakespeare speaks to questions in our world and to illuminate his work by looking at it through new forms of human expression. Spotlight on Shakespeare will adopt fresh scholarly trends as contemporary issues emerge, and it will continually prompt its readers to ask, "What can Shakespeare help us see? What can he help us do?" Spotlight on Shakespeare invites scholars to write non-exhaustive, pithy studies of very focused topics—with the goal of creating books that engage scholars, students, and general readers alike.